Ford is issuing safety recalls for approximately 1.1 million cars in North America. The first recall affects 915,000 model Ford Escape and Mercury Mariner vehicles from 2008 to 2011 in North America for a potential issue with the torque sensor within the steering column. Ford said the issue could result in the loss of electric power steering assist while driving. 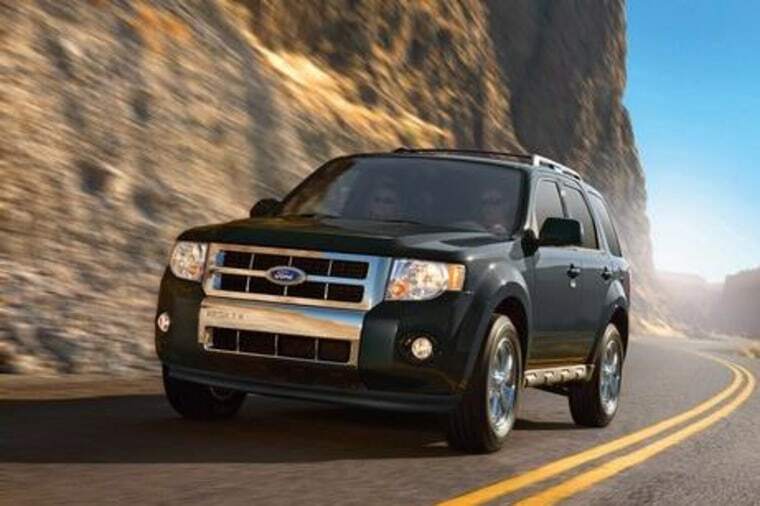 The company is also recalling 195,000 Ford Explorers from 2011 to 2013 model years in North America for a potential intermittent electrical connection in the steering gear that may result in the loss of electric power steering assist while driving. U.S. regulators have received consumer reports of six injuries and five crashes related to this issue, Ford said. There has been increased scrutiny in the United States by automakers this year as General Motors Co faces a safety crisis that began with its ignition switch issue in older model cars. Of the Ford North American vehicles affected, 740,878 are in the United States, said the National Highway Traffic Safety Administration. "Dealers will perform one of three service fixes, depending upon what diagnostic codes are shown when the vehicle is taken to the dealer," said a Ford spokeswoman. "They will either update software for the power steering control module and the instrument cluster module; replace the torque sensor; or replace the steering column, which includes upgraded power steering control module software." Ford did not say how much the recall campaign is expected to cost the automaker. Dealers are to be notified on Thursday and letters to all affected U.S. owners by July 25, NHTSA said. Ford later added that it was also recalling about 200,000 Taurus sedans in North America from model years 2010 to 2014 because of a corrosion issue. Also, Ford said it was recalling 85,576 Ford Fusion, Mercury Milan, Lincoln Zephyr and MKZ sedans from model years 2006 to 2011 because of floor mats that may interfere with accelerator pedals.